Imagine if every time you died in a Legend of Zelda game, Link aged a year and, eventually, he would permanently die of old age. Also imagine that Link could be a girl if you so choose. Finally, picture the inventory system of an old-school survival horror game. Put that all together with a dash of virtual reality, and you've got Chronos. A young male or female hero must enter an ancient labyrinth to slay a dragon to save their home in a post-apocalyptic world where technology has been forgotten and replaced with medieval swords and shields. More story is revealed by way of written works found throughout the dungeon and with some stellar voice acting from the few characters who talk in the game. I quite liked it, aside from the abrupt ending. It left me wanting to find out more in a sequel. The entrance to the labyrinth only opens once a year, thus every time your character 'dies' they merely get thrown out of the dungeon until the next year. Starting when you're 18, you're able to play at least until you're 80, though I never got that old before finishing the game. Every 10 years from 20 on, you'll earn a perk that boosts your stats in some helpful way while your body starts to age and react a bit slower. The way your character can gain levels is also affected. Early in life, your agility and attack can be raised for one point while upgrading arcane (magic) requires three points; later in life, those costs are nearly reversed. While the aging mechanic is certainly original, I'm not sure it benefits the experience as a whole. It is interesting to see your character grow old with their voice changing, hair graying, and physical ability fading, but it can make the later game harder. Dodging enemies' attacks and taking heavy blows to your shield didn't feel as effective when I was older, though I'm not sure if I imagined that, or if it actually happened. The animations made me believe my character was more lethargic. One interesting thing about aging is the fact that eventually you'll die of old age, permanently. That said, I'm not sure if you're able to start again as a new generation with fresh stats, or what exactly happens. I'd like to think your save gets deleted, and you're forced to start over. That's the way I pictured it in my head. It made me play with a sense of urgency and caution unlike many games these days where infinite lives are a given. Chronos manages to take the concept of limited lives and contextualize it in the story, versus being a mechanic carried over from the arcade days where it was only meant to get more money out of players. 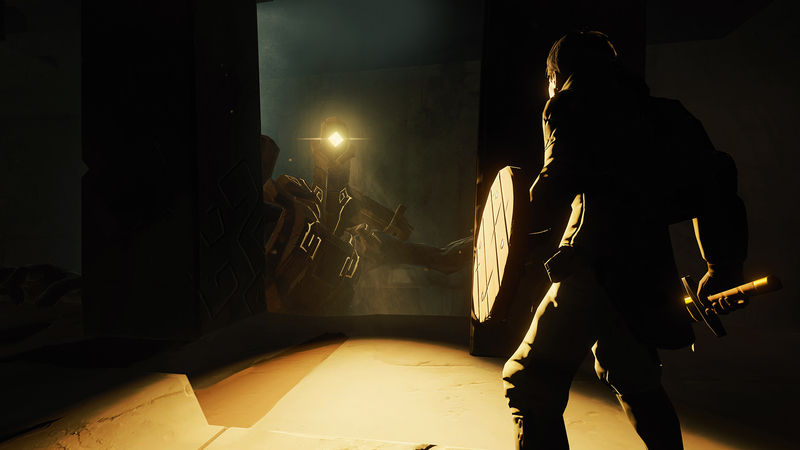 The first genre that comes to mind when thinking of virtual reality is certainly not a role-playing adventure game, and Chronos didn't sell me on the concept. Much like the original Resident Evil, every screen is a still shot where your face is the camera in the scene. As you go from room to room, you'll be following your character with your head by either rotating in your chair, turning your neck, or a combination of the two; after a while, it is a bit tiresome. While Gunfire Games did a great job of making sure every room transitioned with players looking in the same direction, as well as giving players a sense of scale via VR, I couldn't help but feel the game would have been better served on a plain old flat screen. 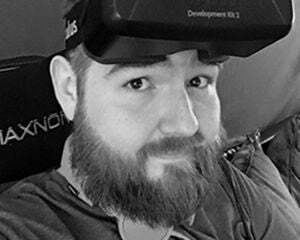 To me, virtual reality should be a way to make games better and give players more immersion, not force them to do uncomfortable physical motions with their neck. Aside from a sense of scale, VR just didn't do anything positive for the experience. Someone on the design team clearly has a hard-on for classic Resident Evil because the similarities don't stop at camera angles -- the inventory system is reminiscent as well. Instead of having physical puzzles like Zelda, most of Chronos' involve finding items, combining them, and then using them at the right place with a needlessly clunky system. Just like in classic survival horror games, items are laying all around sparkling, begging you to pick them up. Some are found in small boxes, which must be opened from an inventory menu, completely robbing players of any immersion they are currently feeling. Items are also used from a separate menu instead of being used automatically like most games. This is easily the worst part of an otherwise decent game. Aside from some weird design decisions, at its core, Chronos is pretty great. The combat takes the familiar targeting, blocking, and attacking from 3D Zelda titles and adds in benefits for dodging and parrying. 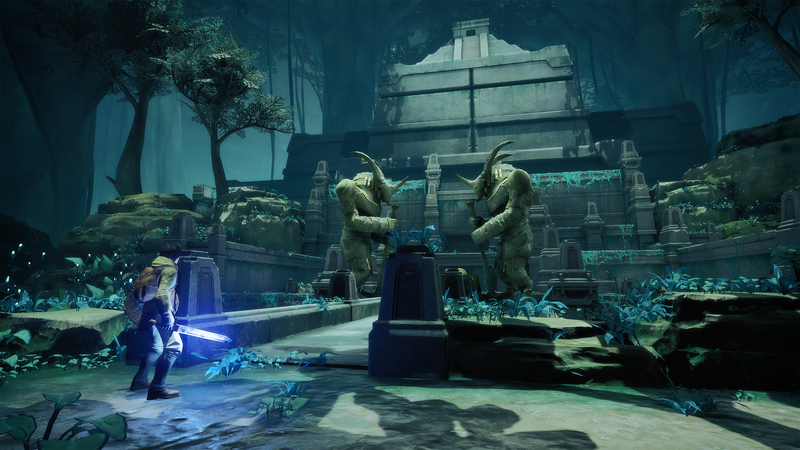 It feels somewhere between Ocarina of Time and Dark Souls, which is to say quite satisfying. When you defeat enemies and large bosses, you get a real sense of accomplishment as every battle feels like a fair fight and a challenge. Very rewarding overall. The character and level designs remind me a lot of the works of Guillermo del Toro, specifically Pan's Labyrinth and Hellboy. Characters are unique, colorful, creepy, and fanart worthy. The only one that is bland at all is the main character, be they male or female. Oddly, you can only play as a white character, though the intro cinematic seems to show characters of color. Race options alongside gender options would have been appreciated. Representation is always a good thing. I'd estimate the entire game took me around seven or eight hours maximum, though it could be finished quicker by skilled players. 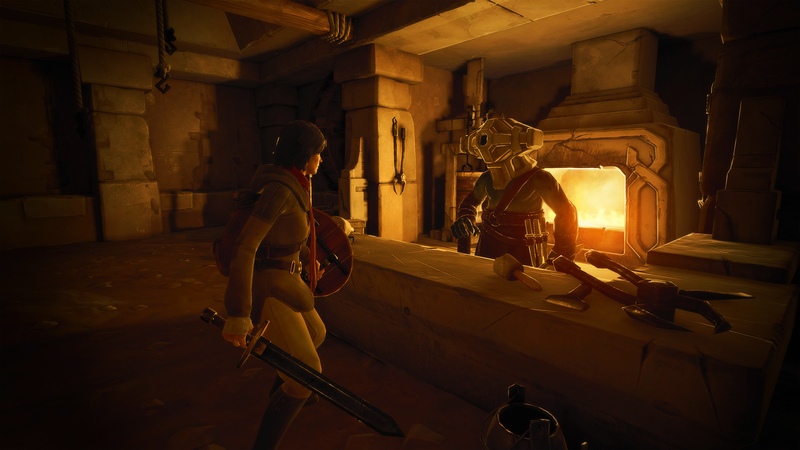 The deciding factor on whether or not Chronos is worth the $50 asking price is probably how much you love Zelda games or how hard up you are for something that feels like a fully-realized game for the Oculus Rift. Even with satisfying combat, an art style reminiscent of Guillermo del Toro, and virtual reality, I can't help but feel $50 is a smidgen too expensive. I guess that is the price you pay as an early adopter of VR.